Combining the refined look of wicker with the durability and low maintenance of resin, this Grosfillex Sumatra Classic bronze mist stacking armchair is the perfect way to attract customers to your outdoor dining area! 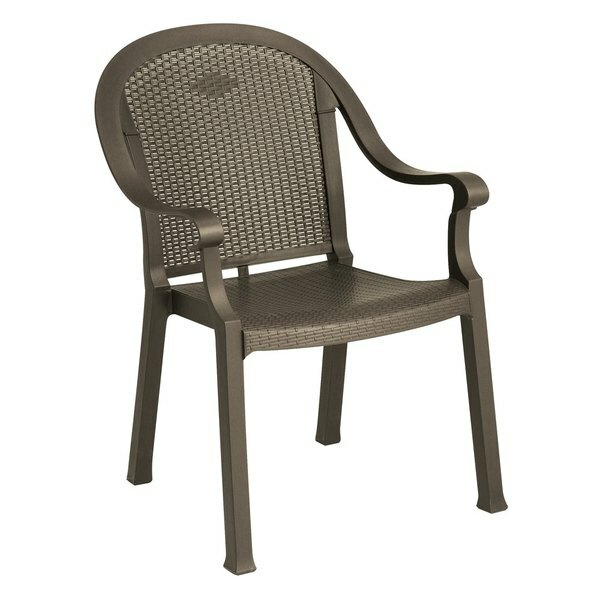 This chair features an attractive MPC synthetic wicker finish and stunning bronze color to replicate the appearance of real wicker, while its commercially-rated design provides superior durability and stacks for easy storage. Since it's also UV resistant, this chair resists fading and discoloration by the sun longer than retail-grade plastic furniture, providing multiple years of reliable use.